Glasgow Prestwick Airport is Scotland’s premier dedicated freight airport, ideally located on the ‘Great Circle Route’ between North America and the Middle East. 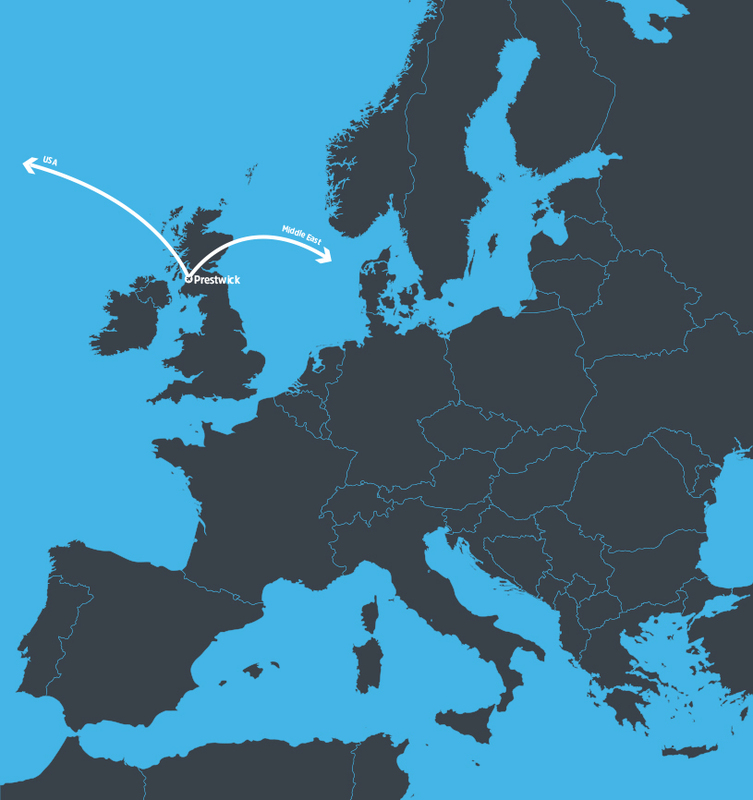 It is the first mainland airport between USA and Europe – perfectly located for transatlantic freight and fuel stops. Its location on the west coast of Scotland’s central belt, with excellent ground transport connections make it ideal for onward travel to other parts of the UK – with trucks able to make it from Glasgow Prestwick Airport to London in an overnight.